10th,11th,12th - விடைத்தாள் திருத்தும் ஆசிரியர்களுக்கான தொகுப்புப்படி நாள் ஒன்றுக்கு எவ்வளவு? 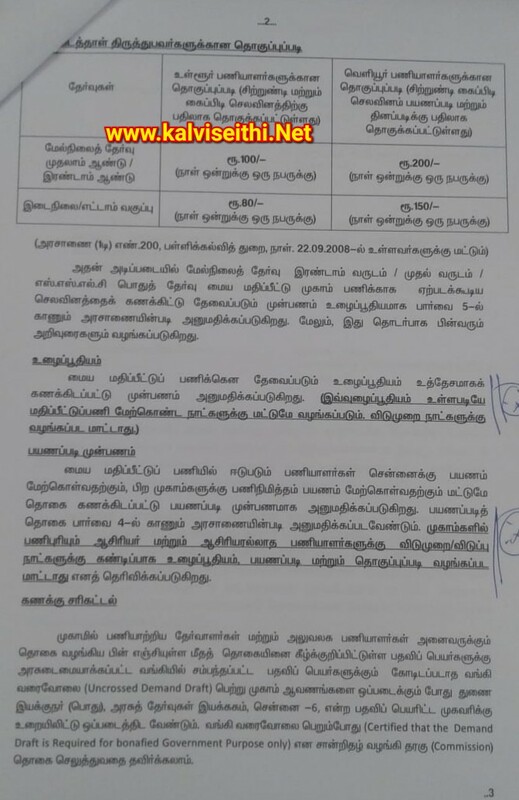 10th Standard : உள்ளூர் 80 , வெளியீர் 150. ..தொடர்ந்து சேவை பண்ணுங்க.. உங்க பின்னாடி நாங்கள் இருக்கிறோம்..
Mr.Unknown if your kalviseithi website is best why you are wasting your time here. Moreover all are educated and they know very well what they have to do, which website they need to follow. If your website is best why so many people have come here leaving your website?? Iam also affected by your kalviseithi website. Its viewers wish, already you have earned very bad name don't spoil it more.